Considering the impact this year’s NHL Draft could have on the future of the Detroit Red Wings, it’s never too early to discuss possible approaches they could take. Detroit’s rebuild is in full-swing and the franchise is a few pieces and years of development away from returning to contention. Let’s take a look at three approaches Ken Holland could take—if Holland is still Detroit’s general manager—at this year’s draft. Detroit finishes the year at their present standing: Fifth-worst record in the NHL. 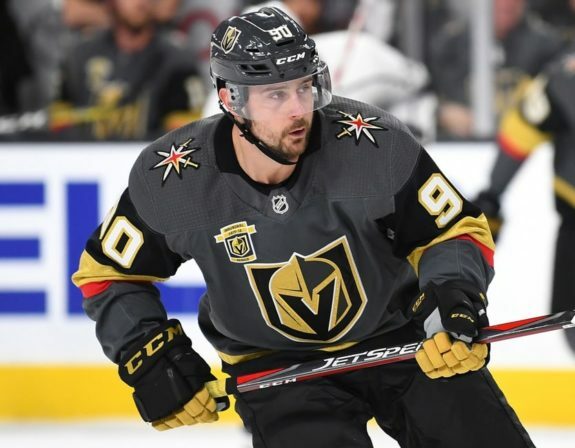 Vegas’ first-round pick—obtained in the Tomas Tatar deal—is the 26th overall choice. Ottawa’s second-round pick—obtained in the Brendan Smith trade—is the 35th overall choice. Their own second-round pick is the 36th overall selection. With these variables considered, let’s evaluate the three options that the Red Wings will have when they arrive in Dallas for this year’s draft. First up, where will Detroit pick? If you haven’t heard, Dahlin is the second-coming of Nicklas Lidstrom. But seriously, he’s projected to be a truly elite, game-breaking defenseman in the NHL. Dahlin’s skating ability and Hockey IQ are the best scouts have seen in years. Like every other team, the Red Wings would be fortunate to draft him. Let’s say Arizona makes it known that they’d be willing to trade the first-overall selection. 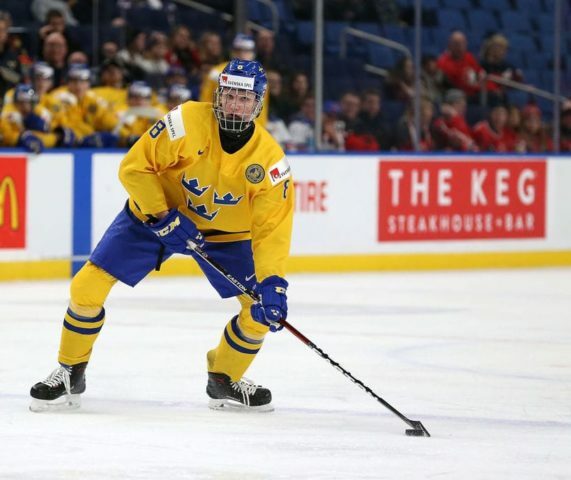 Moving up just two spots to choose Dahlin would cost Detroit an arm and a leg – it would start with the third-overall selection, the additional first-round pick acquired in the aforementioned Tatar trade, and the two second-round picks that Detroit possesses. Ridiculous? Maybe, but if Dahlin becomes the elite player he’s projected to be, his organization would be in a fantastic position for the next decade-plus. But this all depends on the willingness of the draft lottery winner—Arizona in this case—to part with the Dahlin pick. If moving up to select Dahlin is too rich for Detroit’s blood, standing pat wouldn’t be the worst thing. With the Tatar trade, Detroit would have four picks in the top 40 of a deep and talented draft class. They could instantly add high-quality depth both up front and on defense to boost the rebuild. The Hockey Writers’ Ryan Pike listed Dahlin, Andrei Svechnikov (brother of Detroit’s Evgeny Svechnikov), Brady Tkachuk, and Filip Zadina as this year’s top-four players in his recent draft rankings. Assuming Dahlin and Svechnikov go first and second overall in the draft, the Red Wings would likely pick Zadina given his natural goal-scoring ability with the third-overall pick. As for Detroit’s other top-40 selections, Pike lists defenseman Rasmus Sandin, center Jack McBain, and center Barrett Hayton as the 26th, 35th, and 36th-best players, respectively. Selecting Zadina, Sandin, McBain, and Hayton would instantly fast-forward Detroit’s rebuild and bring the Red Wings closer to a postseason return. With the eighth-overall selection, the Red Wings could select one of Noah Dobson, Quinn Hughes, Rasmus Kupari, or Ty Smith. Each has the potential to develop into an impact player in short order. Plus, Pike lists center Allan McShane as the 39th best player – also acquired in the Islanders swap. Would you consider essentially dealing Zadina for Hughes, McShane, and a fourth-round pick? While drafting Dahlin would be amazing for the Red Wings, alternative options should be considered if the price is too high or the pick is not made available. This year’s draft presents one of the stronger classes in over a decade and could provide the Red Wings with a fantastic bunch of prospects. Which draft strategy should the Detroit Red Wings pursue? Comment below with your choice.